Challenge Tour — Rathmore's Alan Dunbar birdied three of his last four holes to move up to tied 25th with a round to go in the Scottish Hydro Challenge hosted by Macdonald Hotels and Resorts. The Portrush native was one over for his round with five holes to play after a seven at the par-five 13th but made a hat-trick of birdies from the 15th to post a second successive 69 that left him on six under par. Dunbar is eight shots behind Englishman Andrew Johnston, who extended his lead to two shots heading into the final round. But he has two-time winner Moritz Lampert on his tail as the German aims to emulate the achievement of last year’s champion Brooks Koepka by winning his third Challenge Tour event of the year and automatic promotion to the European Tour. Stephen Grant from The Heritage slipped to tied 32nd on five under with a level par 71 featuring five birdies, three bogeys and a double bogey. Alps Tour — Spain's Borja Virto won his first title as professional when he carded a level par 71 to win the Alps de Las Castillas title in Spain. The 23-year old finished a shot clear of compatriot Borja Etchart (72) on eight under par to win €6,960 and move up to fifth in the Order of Merit. 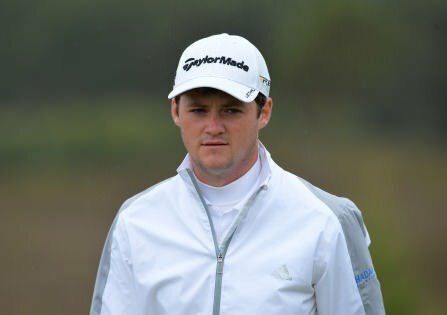 Ballyliffin's Brendan McCarroll is fourth on the money list and in position to win one of five Challenge Tour cards for the leading money winners after a closing 70 gave him a share of seventh on two under worth €1,704. Headfort's shot 72 to finish tied 28th on four over and earn €584, moving him up to 33rd in the money list. Alan Dunbar and Stephen Grant moved up the leaderboard entering the final round of the Fred Olsen Challenge de España in the Canaries. Challenge Tour — Stephen Grant is just six shots off the pace at the halfway stage of the Scottish Hydro Challenge hosted by Macdonald Hotels and Resorts. Chris Selfridge is chasing down his first Top-10 as a professional in the SSE Scottish Hydro Challenge hosted by Macdonald Hotels and Resorts. Alan Dunbar had 11 birdies in a course record 62 in the Scottish Hydro Challenge. Picture credit Getty ImagesAlan Dunbar might have missed four of five cuts since he turned professional but he made up for those disappointments on a magical day at Spey Valley when he blasted a course record 62 to grab a share of the lead in the Scottish Hydro Challenge.